For Apple wearable, practicality and actually working beats anything. That's what I'm looking for, but it'll be hard to prove unless there's a full-on demo station in the White Cube. CNET’s Sharon Profis had a great explainer last week, telling why you should know and care about NFC. Mobile payments is a natural progression for Apple. The company already lets hundreds of millions of users -- about 800 million, as of Apple's earnings in April -- buy music, books, and apps through an iTunes account linked to their credit cards. Thanks for all your predictions, people! 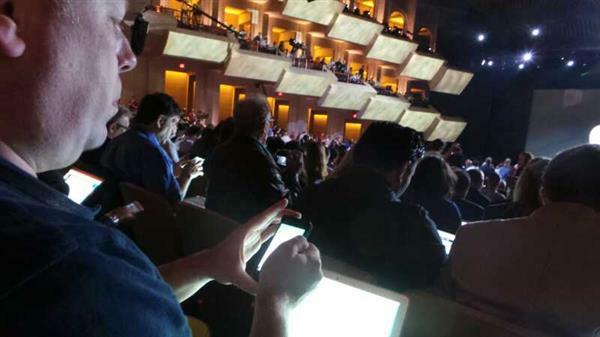 Let's see who wins keynote bingo! The intro video is playing! I’ve written a couple posts about what to expect from the event. You can check out the one about the iPhone here, and the wearables post is here. "To those who have always seen things different"
"The ones who follow a vision"
"The ones who perceive first as valuable"
"While others are distracted by the new, you focus on the significance of a whole new take"
Apple's definitely downplaying being first-to-market here. That would definitely be an important point if they're launching a wearable today. Certainly, Apple wasn't first to launch smartphone, but that didn't hurt them, now did it? Pretty sure they sold a few of those iPhones. This ad looks very different from Apple's others. It's basically just phrases being moved around a warehouse-looking room. "You are the difference between the world as it was and the better world that it will become"
It's a very clever video, beautiful simple music, changing perspectives to shape the words. Different - that's the emphasis at apple. "Different, that's the one thing that will always be the same." 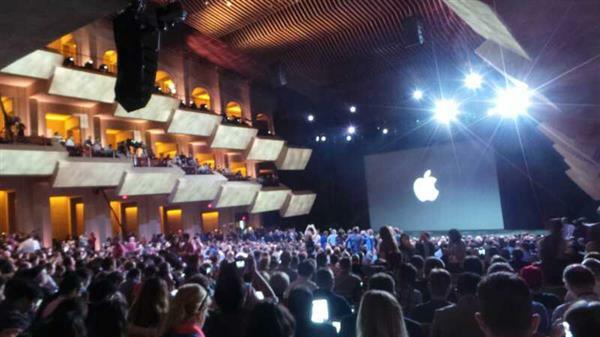 Big applause, and Apple CEO Tim Cook is on stage! There's a large Apple logo behind him, the same shaded one that we saw in the invite. Cook, 53, celebrated his third anniversary as CEO in August. Cook, who joined Apple in 1998 to run operations, was Steve Jobs’ handpicked successor. Tim Cook is obviously quite happy to be here in the Flint Center, the place where the Mac was introduced 30 years ago. He's got a big smile on his face. 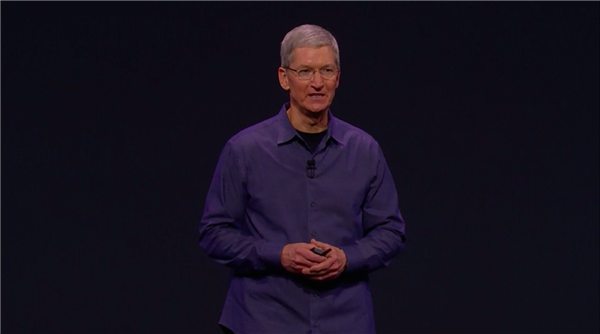 Big applause for Tim's mention of Steve Jobs introduction of the Mac here. Cook: We've had some of the most important product introductions in Apple's history here. Jobs introduced the Mac here 30 years ago. Cook: I usually go through a few updates, but we have so much to cover today, I'm dispensing with those other than to tell you, everything's great. Tim is going to deviate from the usual slideshow routine, which is just fine with us. We're thinking we have a lot of gadgets to get through, so on with the unveilings! It's very, very quiet in here with Tim talks. All you can hear is the frantic typing of fingers on keyboards as we all liveblog. The iPhone is certainly not the best-selling phone any longer, but it's hard to argue that it has the most ardent fanbase of any single model.